Reset the clock and recover your skin’s youth with this nourishing, sculpting, and firming cream that is infused with an energetic blend of essential oils. Formulated with RegenFX complex, this anti aging cream helps restore skins natural younger form, addressing and reversing sagging skin and loss of volume, elasticity, density and wrinkles. This all-in-one highly active energetic anti aging moisturizer are focussing on cellular regeneration, lifting and wrinkles with the latest targeted peptide complexes. A joyous and energetic blend of proprietary ingredients creates a therapeutic aromatherapy effect. 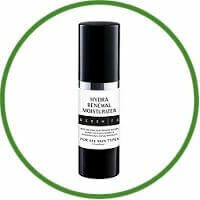 All day hydration- this anti aging moisturizer to give your skin a youthful glow.